Caye Caulker is changing. There are lots of new things going on, but life on the island still runs at the “Go Slow” pace it is so famous for. Things are different since last time we visited. There are new hotels, restaurants, businesses have changed locations, the north end of the split is developing fast and the famous split just got bigger. It’s HUGE! 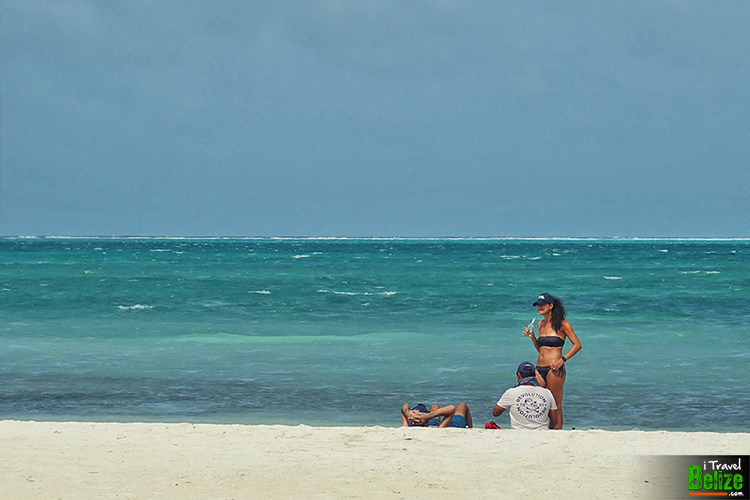 Amidst all this change, Caye Caulker is holding on to it’s charm. They are not allowing traffic to congest its streets, their beaches are open to everyone and islanders are very protective of the environment. 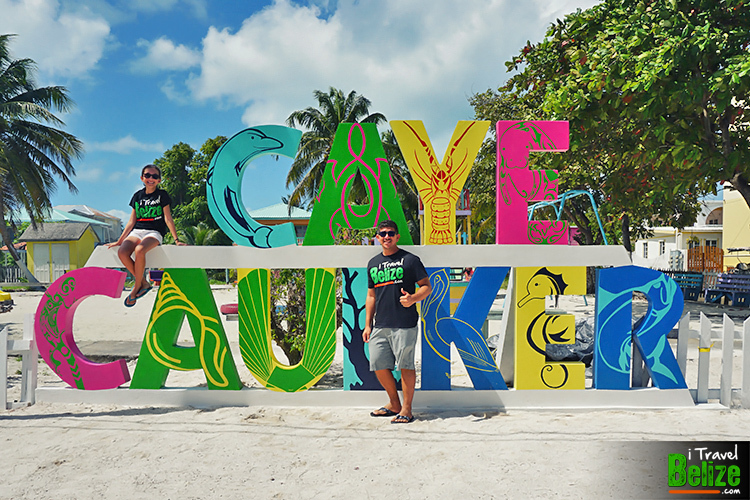 One thing for sure, Caye Caulker is clean; there’s little trash! 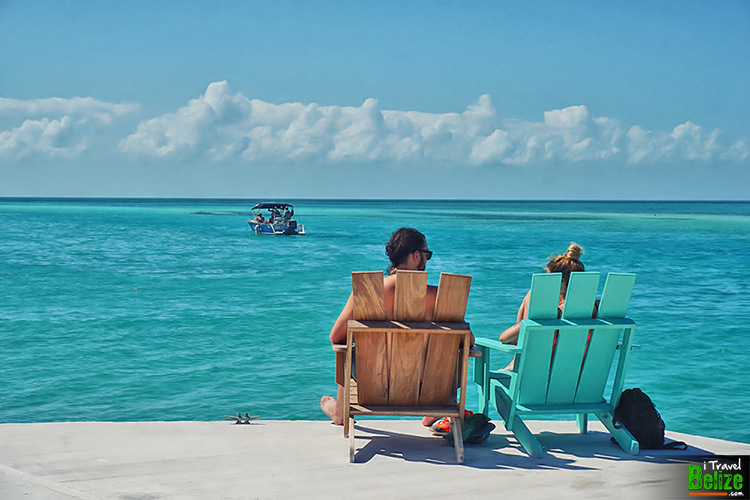 So Caye Caulker is happy that it is now receiving recognition as one of the top destinations in Belize. 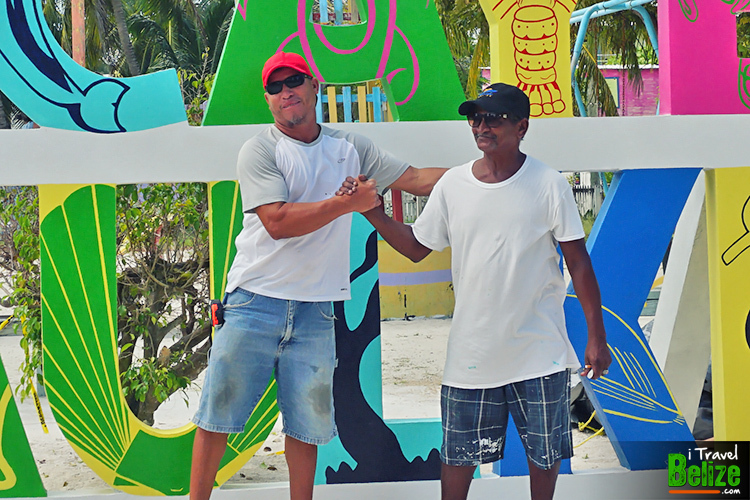 With this in mind, the Caye Caulker Lobster Fest Committee took time in looking for ways to improve the island charm. They wanted to boots its attractiveness to build a tourism brand. 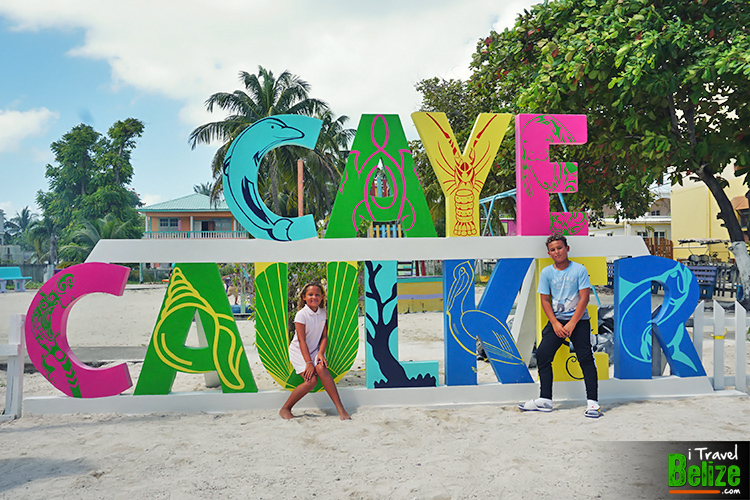 They recently inaugurated a new ‘Caye Caulker’ sign which they believe will boost the island’s international and local recognition. 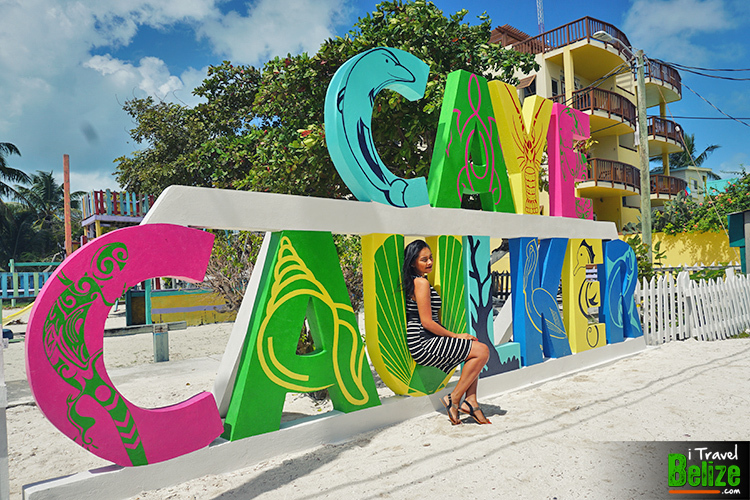 Each letter is in bright colors with an image that represents what Caye Caulker is about. There is the conch, coral, shells, turtle, manatee and dolphin, tarpon and seahorse that represent marine life. Then there is the iguana that can be seen running around the island and the pelican seen flying above. Most importantly there is the spiny lobster that plays a significant role in the history of the island. We took a short stroll along the island after the inauguration to soaked in some sun, sea, sand and air. 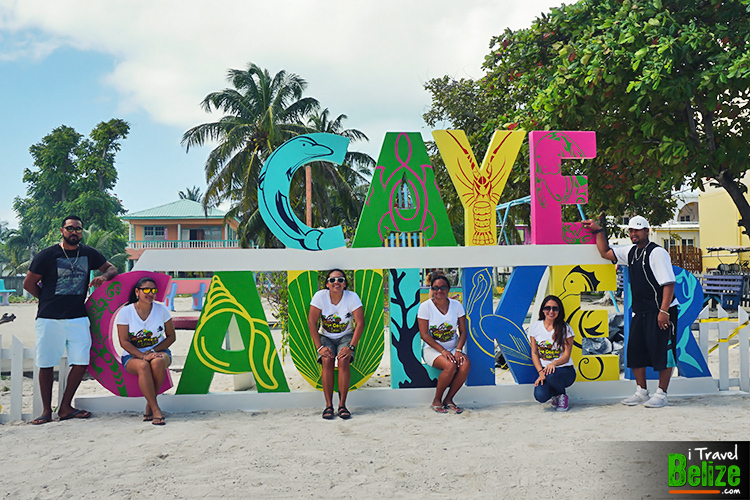 We took time to captured the vibrant colors that make up the beautiful new Caye Caulker sign as it welcomes visitors to La Isla Cariñosa (The Loving Island). Byron Castellanos and Wilton Meighan who constructed and painted the sign, respectively. 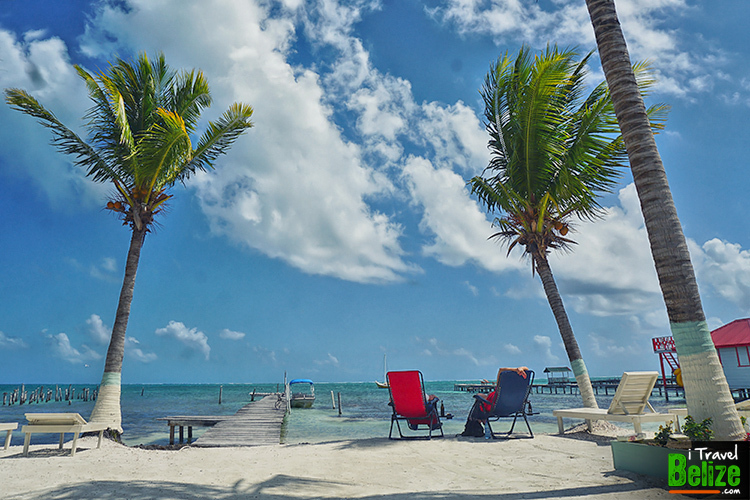 I will be visiting Ambergris Caye May 17 through the 24th. I am a scuba diver and just retied. I am looking for a place to rent for 3 to 6 months during the winter. I have been to Belize a few times but never to Caulker Caye. Are there long term rentals available there. Is there anyone I should contact to get further information on what renting involves?